Greenambit Calissa - Beautiful homes in North Goa! 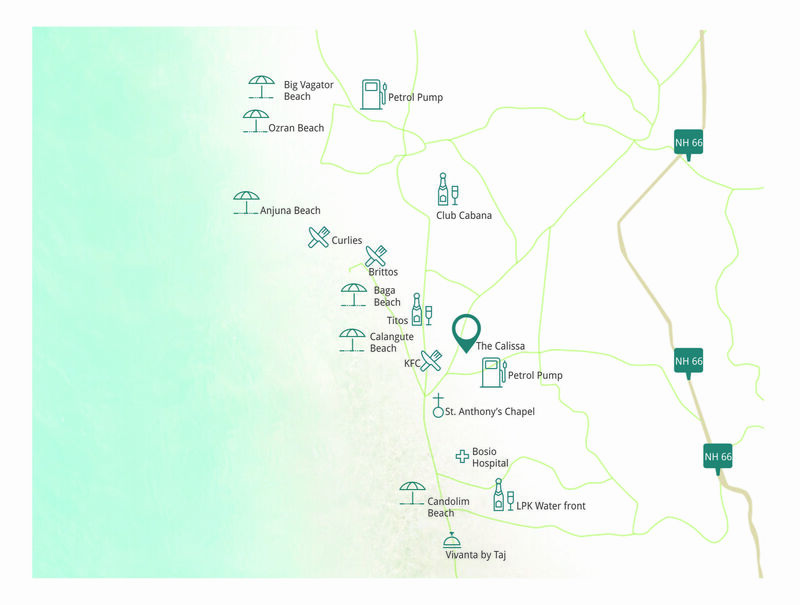 Greenambit Calissais located at Calangute beach in North Goa. It’s a RERA approved project that is known for the stylish lifestyle apartments that is close to the nature and beauty of Goa. Greenambit Calissa Goa property has excellentservices including an ozone swimmingpool, green field view,intercom facility, modular kitchen,car parking facility, lift, spacious living, rental management system, restaurant, CCTV safety, green view, and organic life. Greenambit is afirst edition project that launched in North Goa in 2017. The Greenambit Calissa is like a palace in the air that drive you through the nature walk that is full of peace, and tranquility. It brings you to life toward natural presence. The project has 1BHK apartments. Greenambit Calissa Goa offers green surroundings, which you can see from your own particular private space. The project is near the shoreline, cafes, and restaurants.The property gives you quality construction, exquisite landscaping, timely possession, strategic structural design, energy-efficient lighting, climate friendly gardening, environmental friendly practices, and lawful transactions.They give high quality doors, HPL roofs in balcony, chimney and hob, designer railings, light fittings, bathroom fittings, wooden antiskid tiles, terrazzo floor tiles, and much more. Greenambit Calissa price property makes all your investment worthy; it is a perfect choice of investment for good returns. The property is the prime spot of North Goa and one can have easy access to Banks and ATMs, Pizza Hut, CCD, KFC, chemists, petrol pump, two-wheeler and car renting, clubs and cafes with a drive of around two minutes.NRI investors are also investing in this nature-closed property to make it their holiday home or retirement home. The project is one of the most sought after in North Goa due to its excellent amenities and facilities. It is a promising holiday home with everything around with a drive of less than two minutes. North Goa is one the prominent tourist attraction point and the apartment can be easily let out on rent when you want. Goa has a weather that is cherished around the year and having the home in Greenambit Calissa will leave you with fun filled family vacation always. Having a home at such region will give you a peace of mind and takes you from the hustle and bustle of life, increase your productivity and restore good times with your loved ones. What are you waiting for? Book your home now! Fort Aguada - 11 Mins. Fuel Station - 6 Mins.